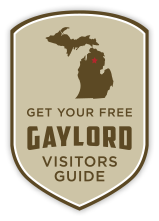 Call it darn good geographical luck or a heckuva blessing from the Snow Gods, but Gaylord, Michigan’s got dibs on the sweetest snowmobiling in the state. Our dead-center position in the tip of the mitt means the sky above blows in big – no, make that behemoth-blizzards of lake-effect snowfall all winter long, plus the city sits in the middle of a snowmobile network that runs more than 500 miles across eight counties. In other words, ladies and gentlemen, start your engines! You can ride out your door from more than a dozen Gaylord area accommodations, but if you’re hauling your sled to the trail, park your truck and/or trailer at one of our staging areas (designated with a P on our map) to begin your ride. Thank you for an outstanding snowmobile season! As you are aware, our trails are currently closed and will reopen on December 1st, weather permitting. 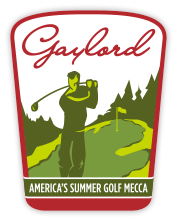 Please keep in mind that Gaylord is also great place for spring, summer and fall activities! We can’t wait to see you next winter! Get your 7-day weather forecast here! Don’t miss the well known go-to trail, the North Branch, starting south on Old 27 across from Extreme Power Sports. The North Branch is a never-ending story of snowmobiling, funneling riders south to Kalkaska’s beautiful Blue Bear Trail, west to the deeply forested Jordan Valley, east to Lewiston’s Lovells Trail, plus numerous connector trails and free-range National Guard lands that are open to riding. Print out the quick reference guide for planning your snowmobile trip in and around the Gaylord area. Visitors should be aware that even though we encourage snowmobilers to visit town, sidewalks are strictly for pedestrians. The City of Gaylord Police regulate this law and tickets will be given. You can get within one block of downtown using the trail, so please park your sled and walk the rest of the way. Snowmobiles may not cross Main Street between the Railroad tracks to the West and Elm Street to the East. The snowmobile trail crosses Main Street at the railroad tracks. 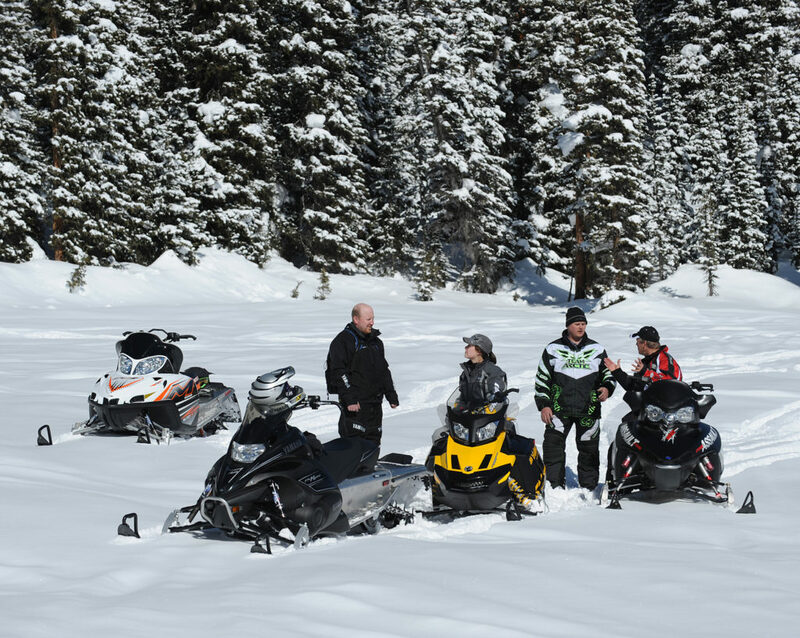 Snowmobiles may travel no faster than 10 M.P.H. on city side streets. For your safety, no travel is allowed on M-32 (Main Street) or Old 27. 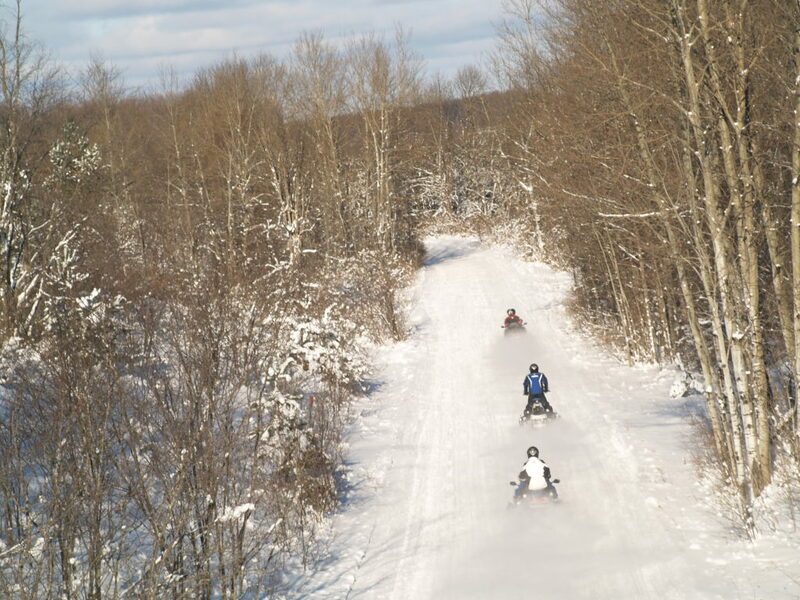 Follow the link above to check out snowmobile trail rules and regulations for Michigan. You can also find out where to obtain Trail Permits and Trail Safety information.